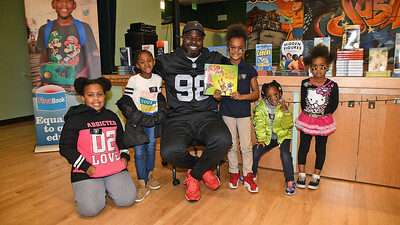 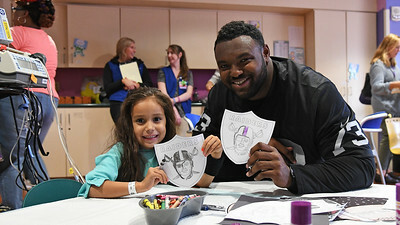 Oakland Raiders defensive tackle Clinton McDonald and his Light Into Darkness Foundation, along with linebacker Emmanuel Lamur, linebacker Kyle Wilber (58), punter Johnny Townsend, and fullback Ryan Yurachek (44), partner with the nonprofit First Book by hosting a reading party to promote literacy at the West Oakland Youth Center, Tuesday, December 11, 2018, in Oakland, California. 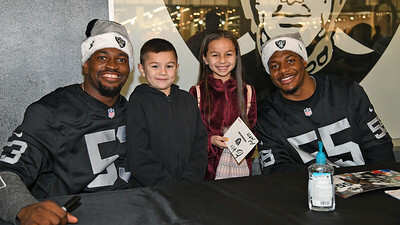 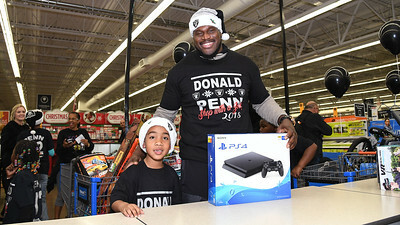 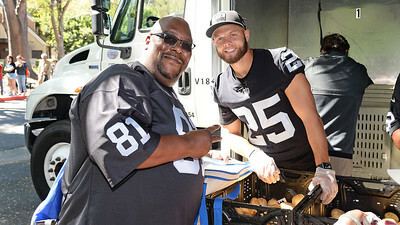 The Raiders Foundation hosts a Toys for Tots drive where guests have the chance to meet current player in exchange for a toy or $20 donation to the charity, Tuesday, December 4, 2018, in Hayward, California. 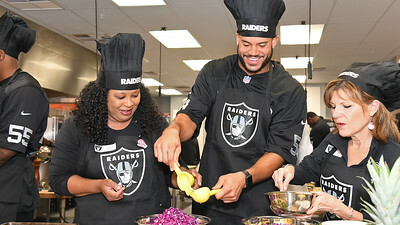 The Raiders Foundation, in partnership with Honor Flight Bay Area, hosts a Salute to Service dinner at The Oakland Raiders Practice Facility for 50 veterans and their guests, Tuesday, November 6, 2018, in Alameda, California. 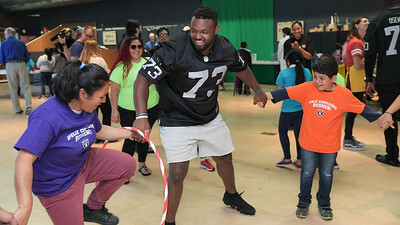 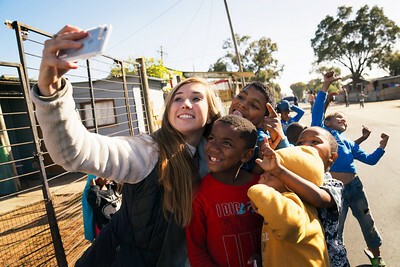 Students from the International Community School celebrate Raider Rusher's 5th Birthday as a Raider and Hispanic Heritage Month at the Chabot Space and Science Center, where they will learn about the experience of being an astronaut, Tuesday, September 25, 2018, in Oakland, California. 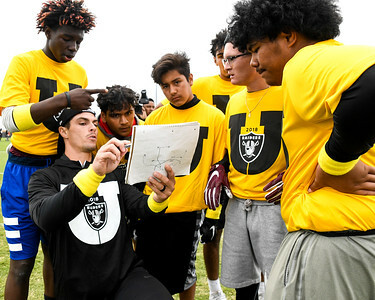 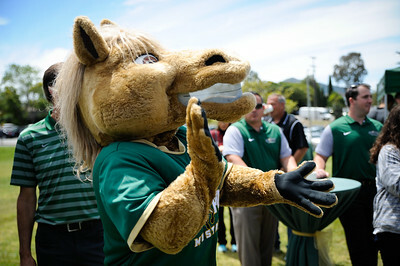 Students from local Bay Area high schools participate in Raiders U, a 7 on 7 football tournament with 8 teams that is coached entirely by Raiders players, at the Oakland Raiders Practice Facility, Thursday, June 7, 2018, in Alameda, California. 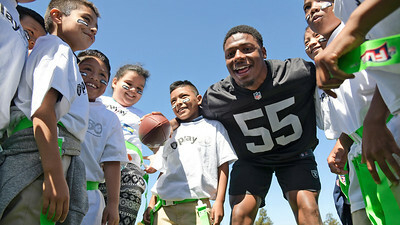 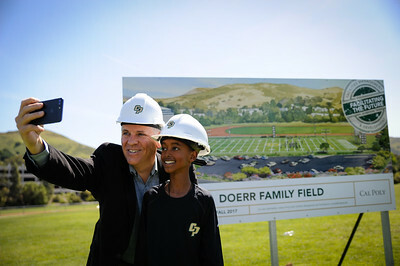 Rugayyah "Cooke" Hassan and her family from the Make-A-Wish Foundation visits the Oakland Raiders Practice Facility in Alameda, CA to meet the whole team, Saturday, October 14, 2017.